Officers located a trailer stolen from an Ashland home in early February and expect to charge multiple people in connection with the theft, according to Sgt. Jarad Carney of the Ashland Police Department. 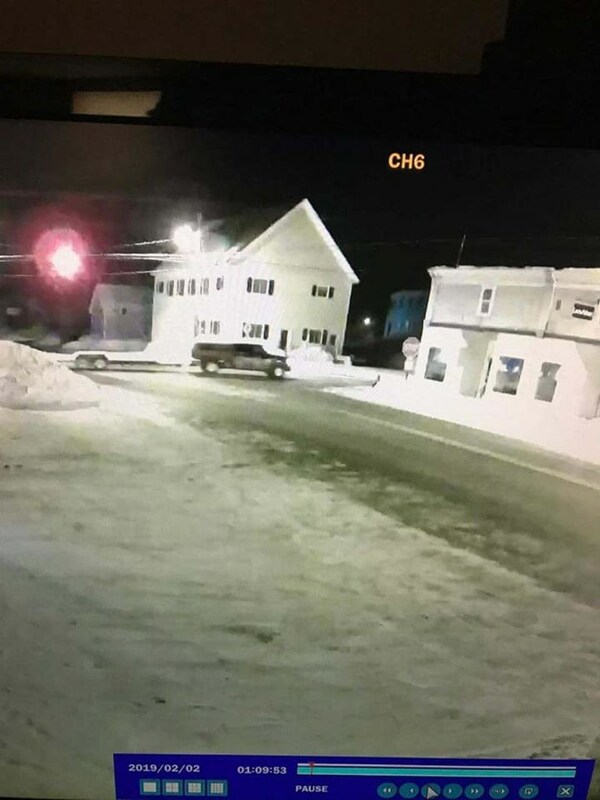 ASHLAND, Maine — Officers located a trailer stolen from an Ashland home in early February and expect to charge multiple people in connection with the theft, according to Sgt. Jarad Carney of the Ashland Police Department. Thieves stole the trailer from a Depot Street home shortly after midnight on Feb. 2. With the help of the public, police found it at an unoccupied property on Grendell Road in Chapman on Feb. 8, Carney said. 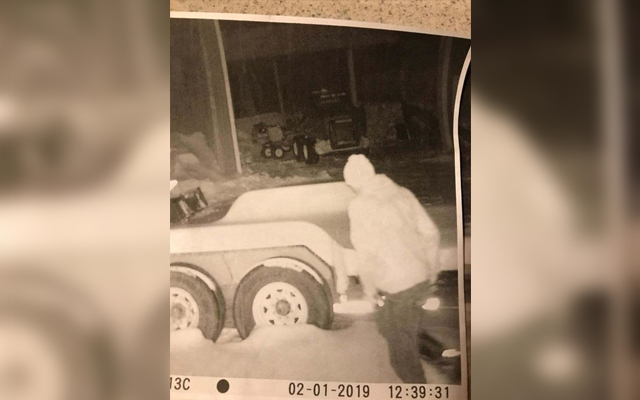 A security camera caught this image of a suspect in a trailer theft on Depot Street in Ashland after midnight on Feb. 2. The sergeant worked with security camera footage and leads from the public to identify three suspects, he said. “Two suspects are in jail. There will be three people facing charges, possibly a fourth,” he said. Carney said the identities of the suspects will be released at a later date following the additional arrest of suspects and filing of charges. Carney also thanked members of the public who offered tips after police posted a request for information on social media. “A tip from the public was what set us in the right direction to solve this,” Carney said.